Fulham reportedly are keeping close tabs on the Celtic defender and Belgian international, Dedryck Boyata. The 27-year-old, who has just 12 months left in his current contract with the Hoops, has been on display for his country in the 2018 FIFA World Cup. Sliding into a starting berth next to prestigious names like Toby Alderweireld, Vincent Kompany, Jan Vertonghen and Thomas Vermaelen is no small feat and plenty of European clubs have taken notice. The centre-back has been in reported contract talks with Celtic as well. Brendan Rodgers is certainly hopeful of signing one of his starting XI regulars to a new deal but could be forced to sell him if interest continues to rise in the coming weeks. Fulham have gained promotion to the Premier League and hence will be able to offer Boyata a more lucrative deal. Slavisa Jokanovic is making the necessary adjustments for a more intimidating top-flight challenge but is yet to announce a new signing. 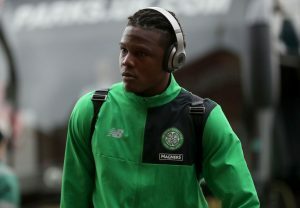 Boyata has won three Scottish Premiership titles with Celtic ever since his arrival in the summer of 2015. The Belgian has done marvelously at Glasgow, making 103 appearances for the side while slotting in 14 goals and 6 assists. He hit the ground running on his debut season after costing the Bhoys only £1.5m. He has been instrumental in Celtic’s consecutive treble winning seasons. Boyata was born in Brussels and spent his youth career developing in the Manchester City academy ranks. Other than making 35 appearances for the Citizens, he spent two seasons out on loan with Bolton Wanderers and FC Twente. The centre-back now has 10 caps to his name for Belgium and 23 for the country’s U19 and U21 sides. Celtic have younger talents in the form of Kristoffer Ajer, Jack Hendry and Jozo Simunovic. Marvin Compper has not really been impactful since his trade from RB Leipzig in January and the latter is considered as a rotational option behind Boyata. 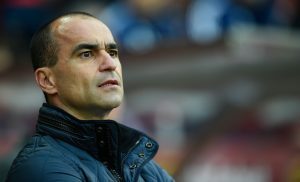 Since the Hoops have still not agreed to a new deal with the 6 feet 2-inch centre-half, Fulham should take full advantage of the situation and put forth a convincing bid. Read More: Fulham Secure The Future Of 30 Y/O Talismanic Defensive Ace: Astute Move From Jokanovic? They certainly could use an extra head at the back with just Tim Ream and Marcelo Djalo registered in the centre-back position. 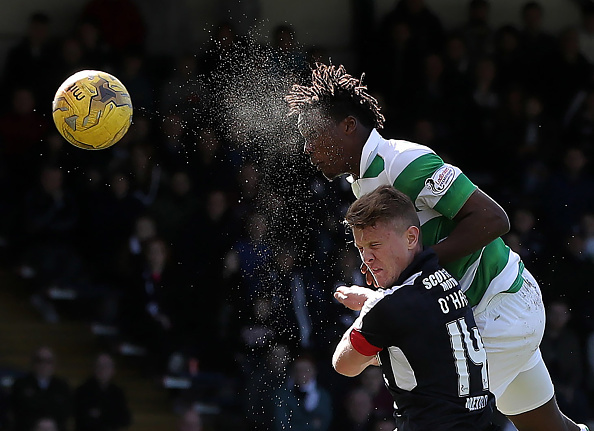 Boyata is packed with top-flight talent and is already accustomed to the pace of the English game. Manchester City Send 20 Y/O Ace On Loan To Ligue 1 Outfit: Does He Have A Future At The Etihad? Update On Celtic’s Chase For This ’18 Goals In 23 Matches’ Forward: What Now For Rodgers? Lennon Offers Hope About This Player Staying On At Celtic Beyond This Summer: What To Make Of It? 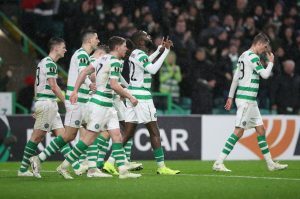 Predicted 4-2-3-1 Celtic Lineup Vs Dundee: Griffiths Or Dembele Up Front? 3 Clubs That Could Contend To Sign This 25 Y/O Arsenal Outcast Including Burnley!